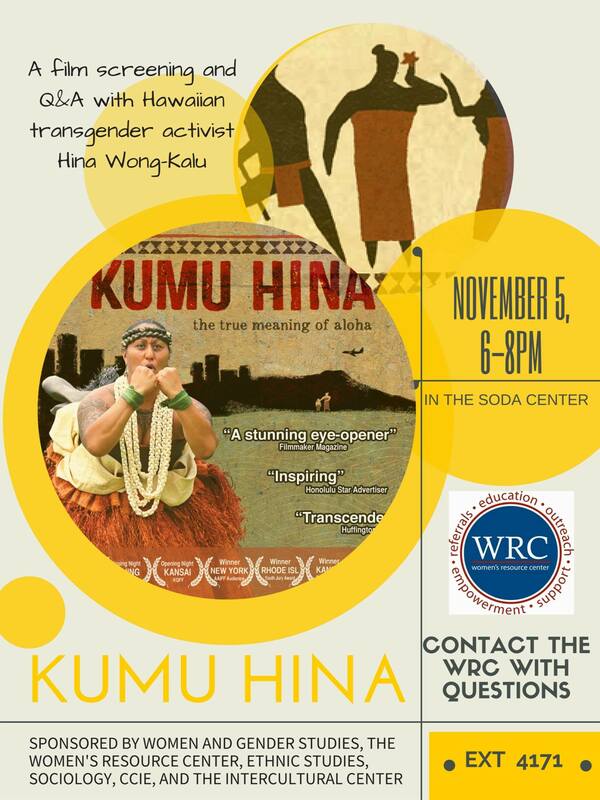 The WRC was proud to host a showing of Kuma Hina. After the showing, we had a Q&A session with Hina, a trangender Hawaiian activist. This event was sponsored by WAGS, the WRC, Ethnic Studies, Sociology, and the IC.